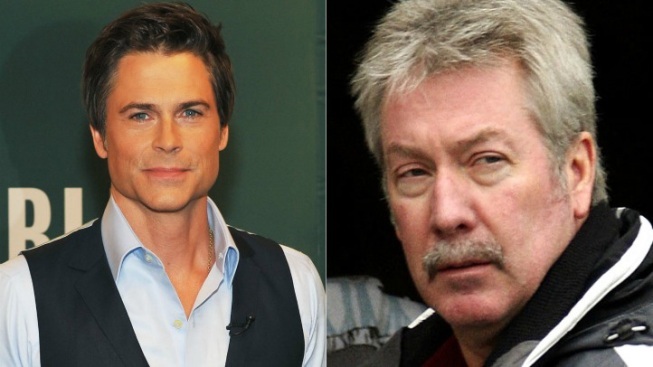 Rob Lowe signed on to play Drew Peterson in a Lifetime movie. You may remember him from movies like "St. Elmo's Fire" and "Wayne's World" or on television starring on "The West Wing," but here's something you haven't seen: Rob Lowe as Drew Peterson. Lowe has signed on to play the former Bolingbrook police officer accused of murdering his third wife in a made-for-TV movie airing on the Lifetime Movie Network, according to the Sun-Times. The movie is based on a 2008 nonfiction book written by Joe Hosey titled, "Fatal Vows: The Tragic Wives of Sergeant Drew Peterson". Actress Kaley Cuoco will play Peterson's fourth wife, Stacy, who disappeared in October 2007. Peterson remains a suspect in Stacy's case, but is currently jailed in connection to the drowning death of this third wife, Kathleen Savio. He denies any connection to either case. When asked by his lawyer, Joel Brodsky, on Tuesday who he thought should play him in the movie, Peterson replied, "I was hoping I would be portrayed by Denzel Washington, but I guess Rob Lowe is OK."